Powerful solutions give you the freedom to focus on business. 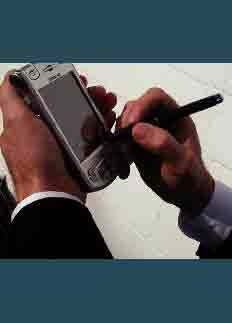 Wireless Webforms is dedicated to improving the efficiency and productivity of mobile workers. By expanding the productivity and efficiency of your mobile workforce, you can enhance the service you provide to your publics, increase accountability, and more importantly, reduce costs. Our team of experienced professionals works with you every step of the way to automate workflow, track information and manage your data from a central location, helping you utilize technology to its fullest advantage. And, with over 15 years of experience developing software solutions, we have the wherewithal to help you achieve your goals.